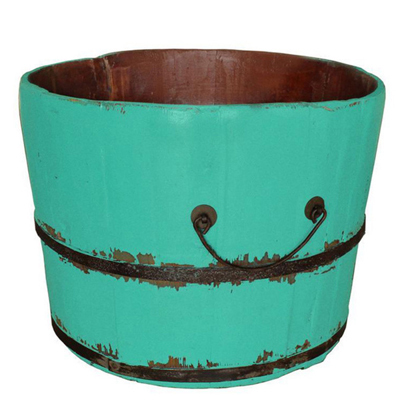 This antique revival Turquoise Wooden Rice Bucket adds a vintage element to your home. Handcrafted from sturdy elm and reinforced with wrought iron. $62.99. Buy here.